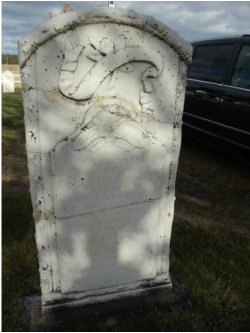 At last I found the grave marker of a documented relative. 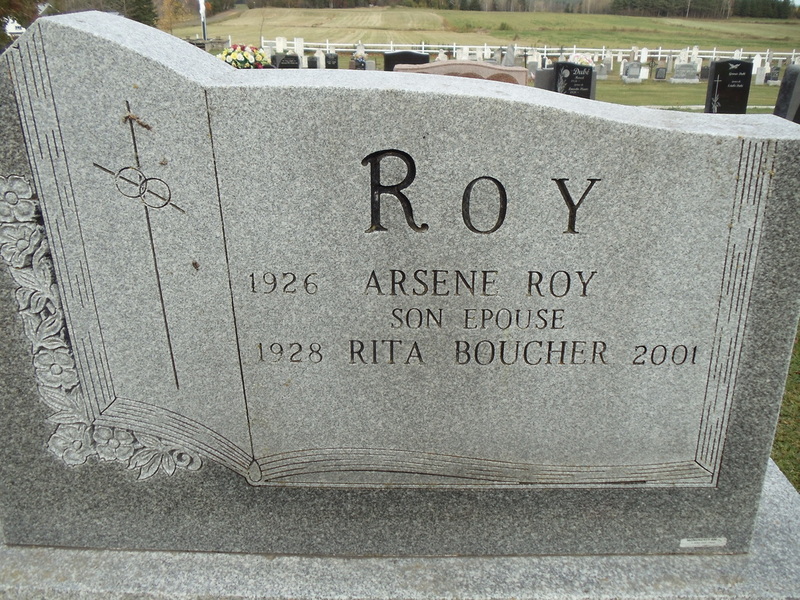 St. Arsene Catholic Church - secteur del la terra a la mer. Note the distinctive red painted doors. 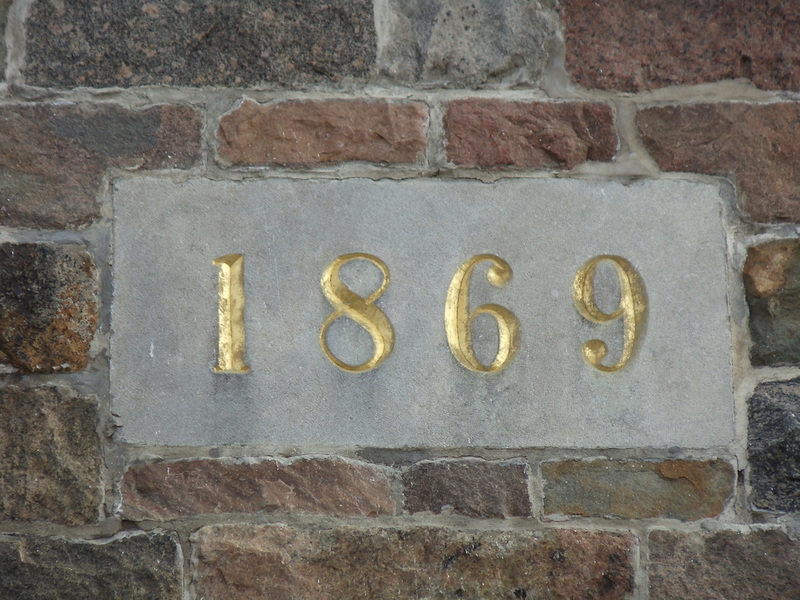 The parish was founded in 1846. 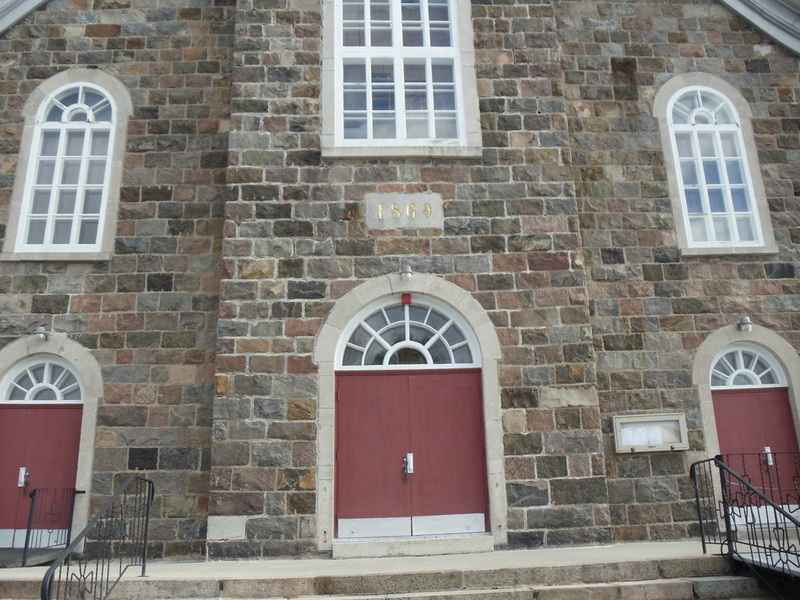 The church was built in 1869. 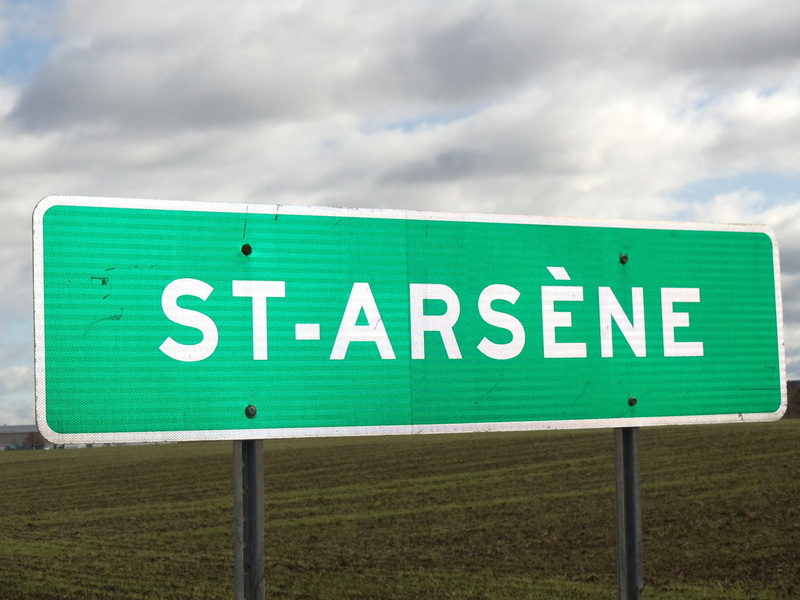 Without a local map St. Arsene is not easy to find. 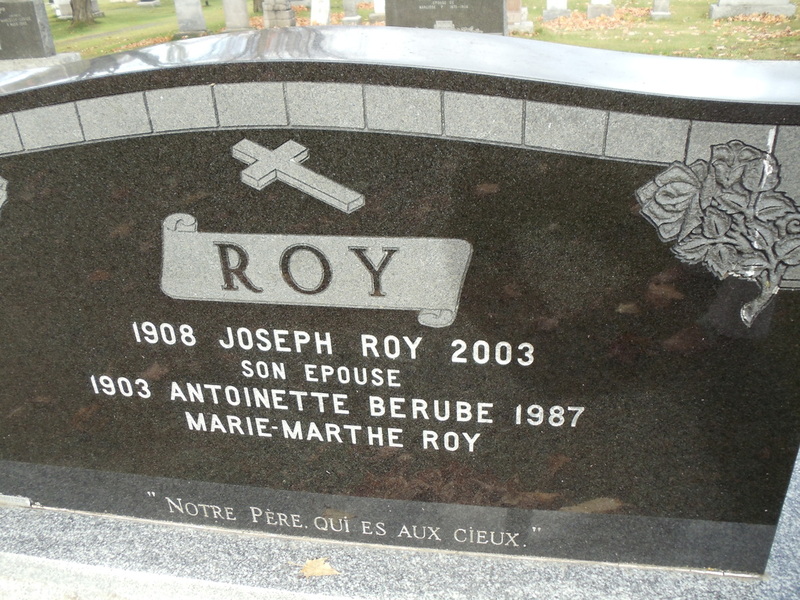 Located south of Cacouna, east of Riverie de loup. 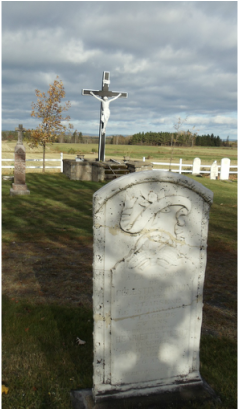 Gravesite of Marie Henriette Talbot and Celestin Saindon. 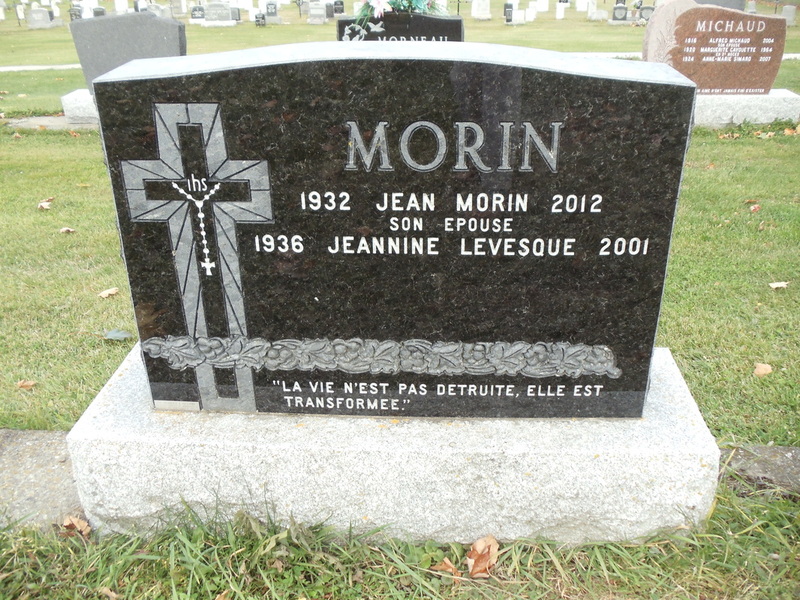 Parents of Archille Saindon, Grandparents of Laura Saindon Roy. 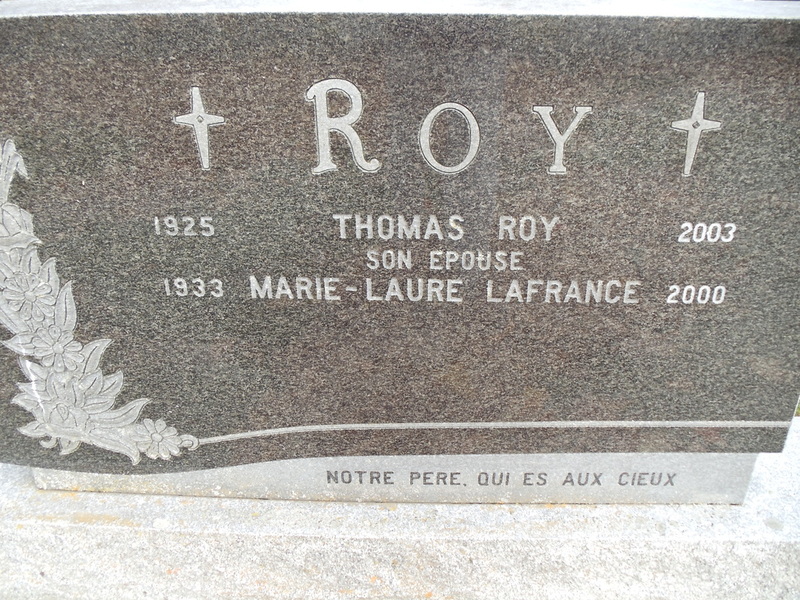 Great-grandparents of Linda Roy Cross. 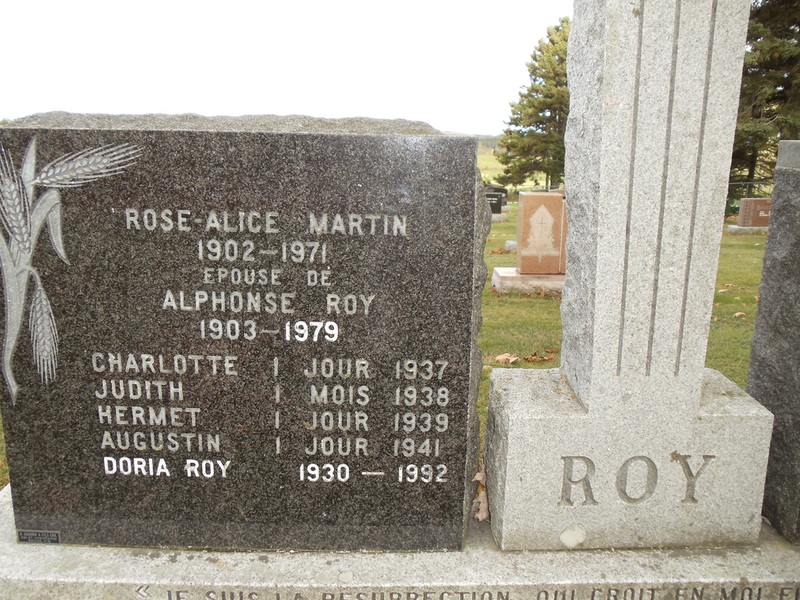 Rose Alice Martin 1902-1971 spouse Alphonse Roy 1903-1979. Charlotte 1937 - Judith 1938 -. Hermit 1939 - . 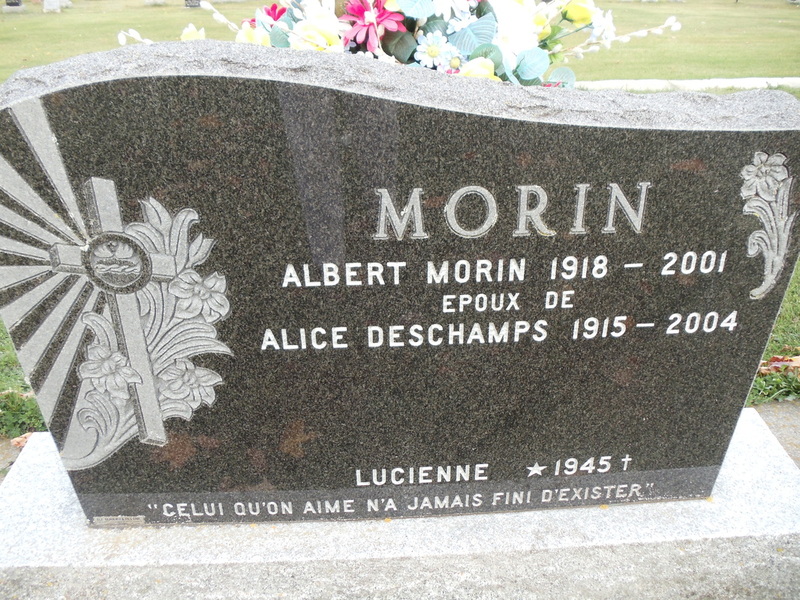 Augustin 1941 - . Doria 1930-1992. 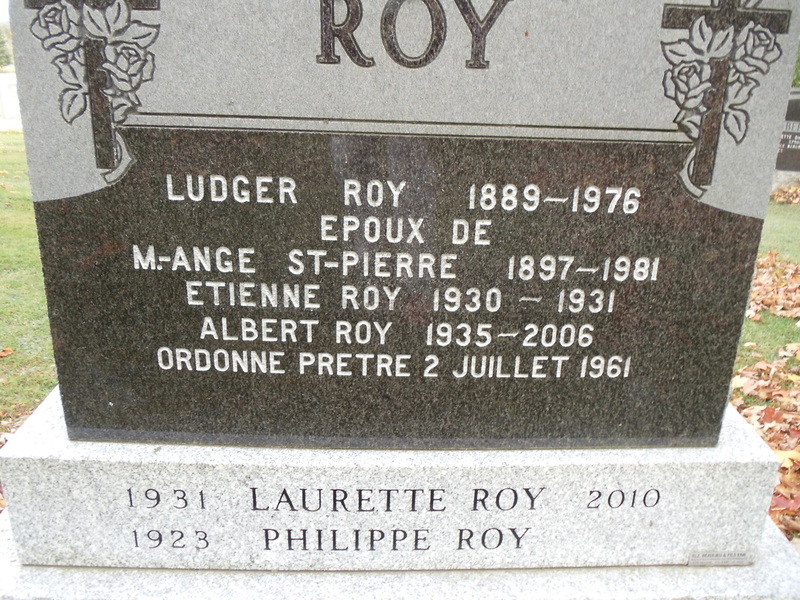 Omer Roy 1872-1908 spouse of Adele Richard 1879 - 1947. 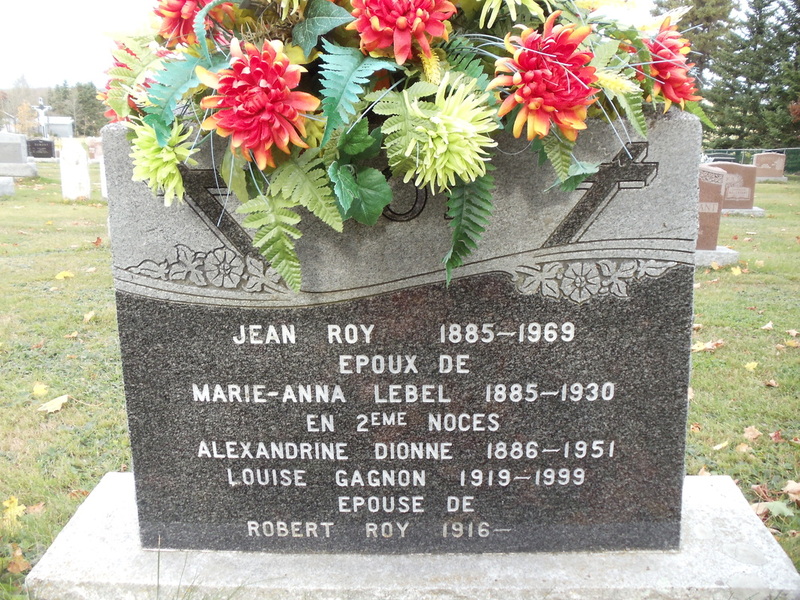 Marie-Anne 1906-1907. 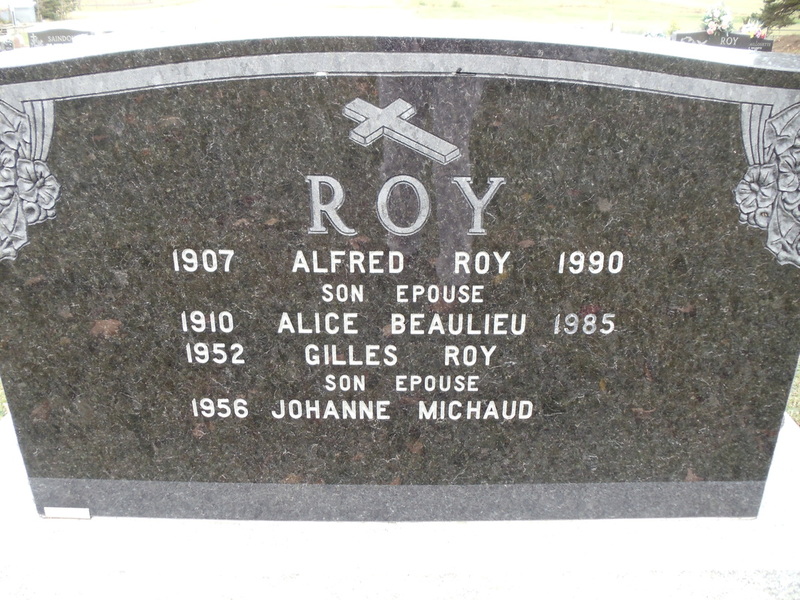 Gerald 1904-1924. J. Antoine EDBA 1902-1948. 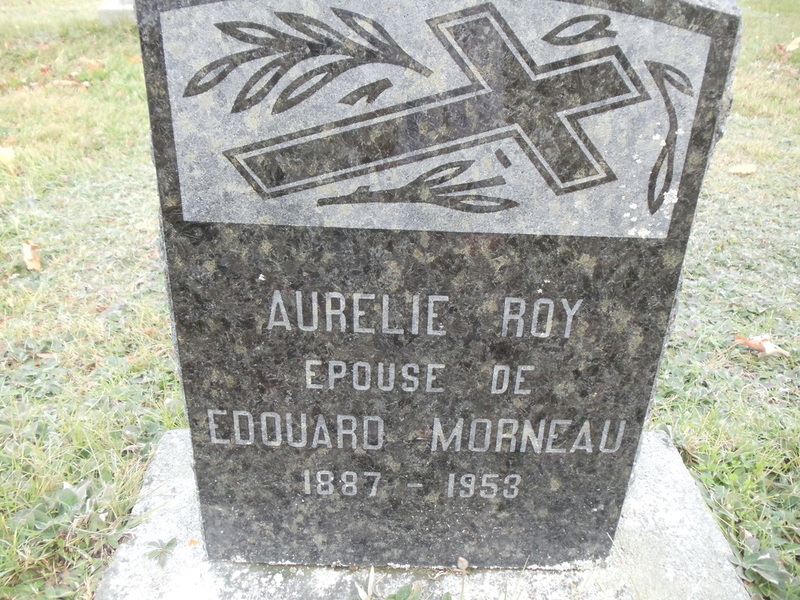 Demerise Rioux 1835-1905 spouse of Prime Roy. Chs. 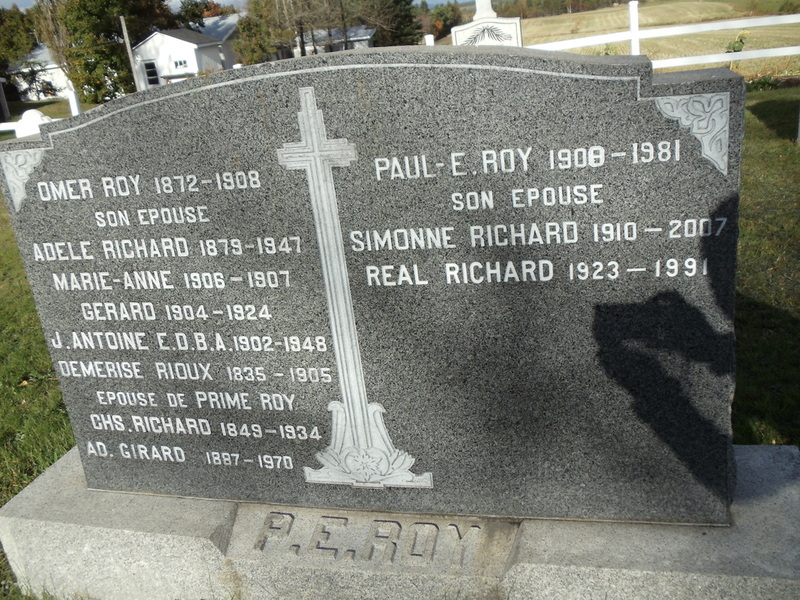 Richard 1849-1934. AD Girard 1887-1970. 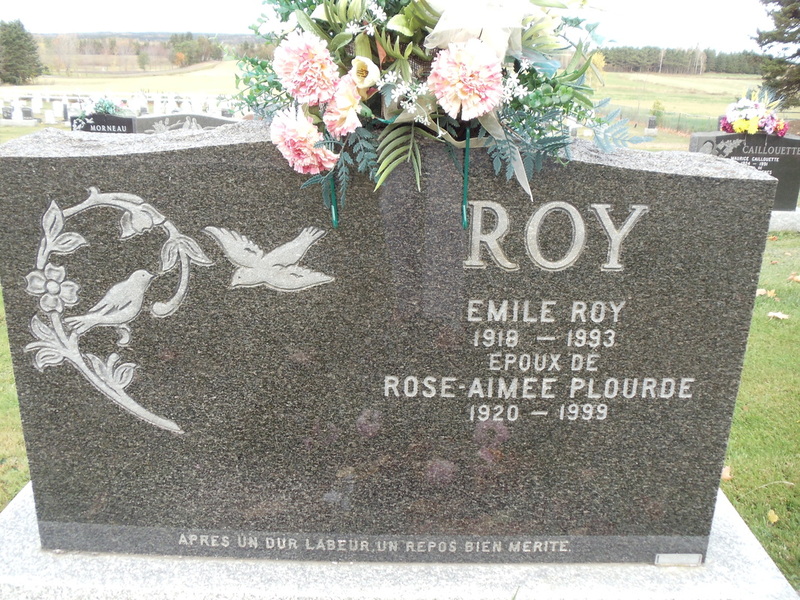 Paul E. Roy 1908-1981. 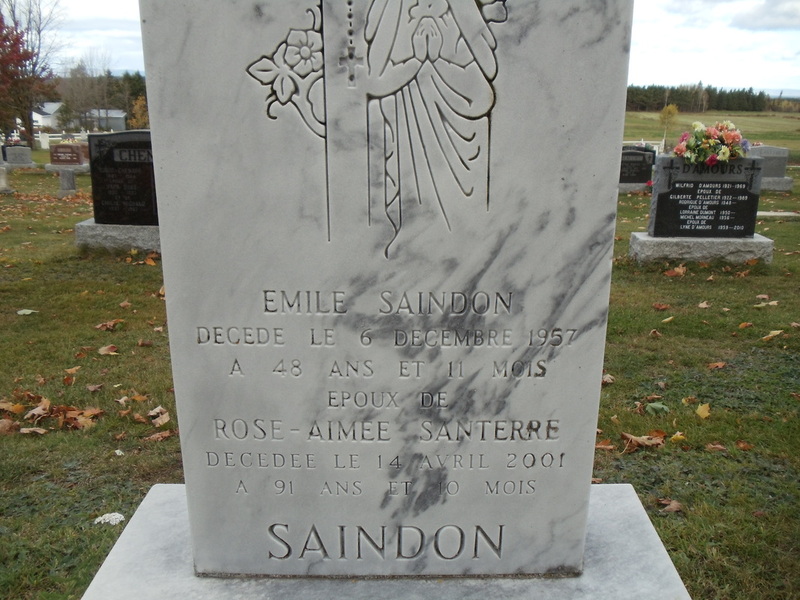 Emile Saindon ? 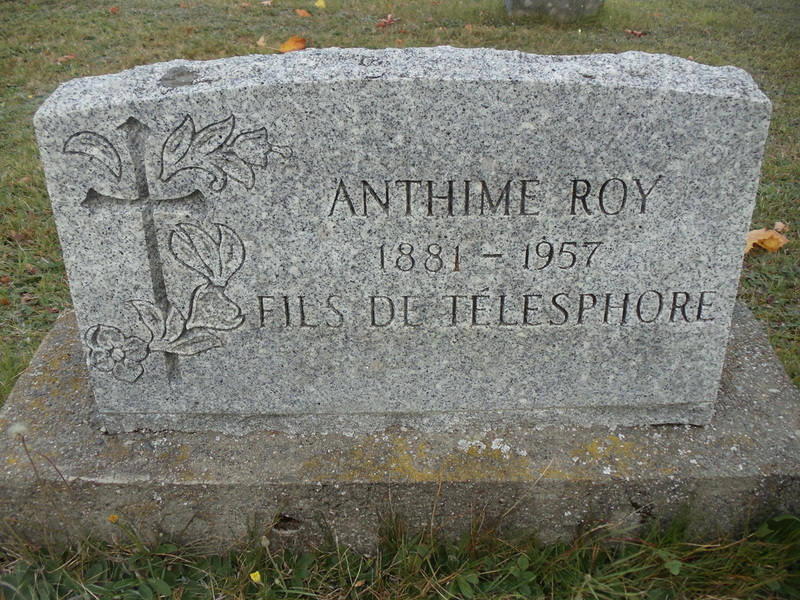 - 1957 spouse of Rose-Aimee Santerre ?-2001. 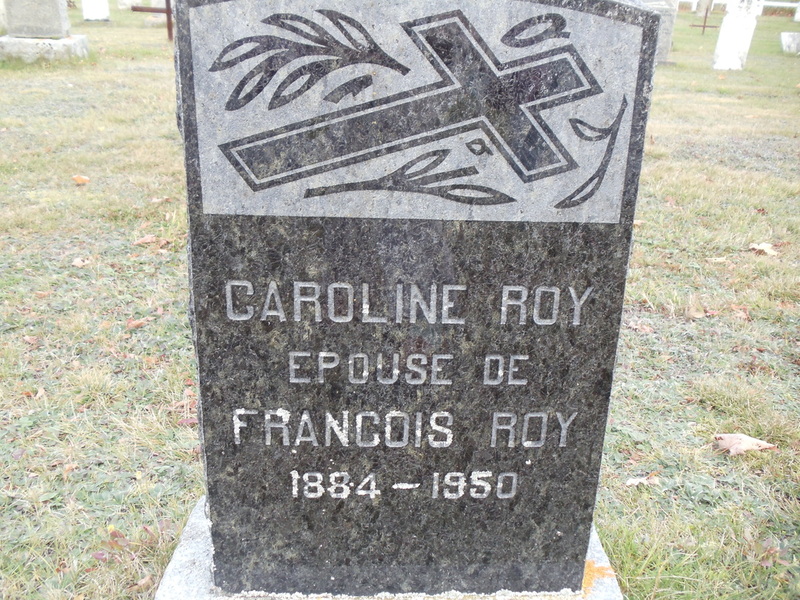 Zoile Desbiens 1904-@1975 spouse of Jean Baptiste Saindon 1905-1978. spouse of Rose-Aimee Santerre.